Long put: buyers of put options hope the stock price to go down before expiration. It causes the put options to increase in price and therefore it makes it possible to make profit when the option is exercised. Put options are also used to hedge a stock position. Long put options establish limited risk and unlimited reward. The loss is limited to the option premium the buyer paid for its purchase. The break-even point of this kind of option is equal to strike price minus premium. The lower the asset price, the more profit the buyer can make in this case. 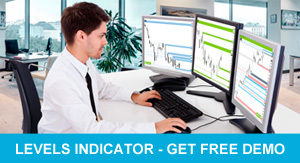 Long puts are used when the buyers are bearish on the market. 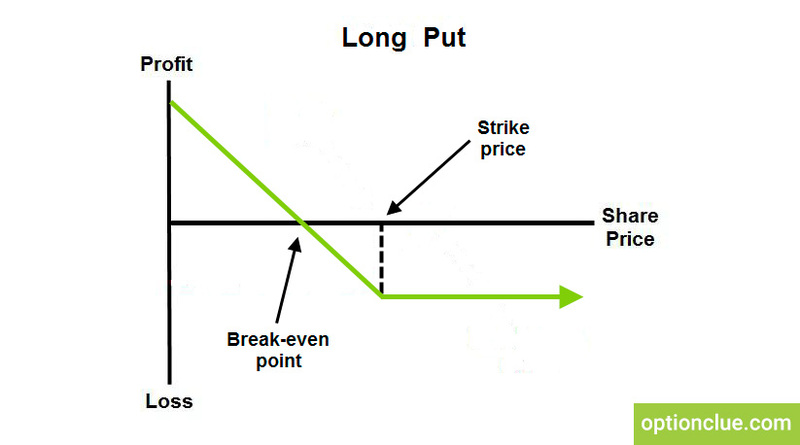 Suppose we buy the put option for $20 when the strike is $100, the break-even point will be $80 ($100 – $20). The put option will be in-the-money when the price is $79 or lower and we’ll benefit when exercising it. We will suffer losses if this option is expired at a price above $80.